Summer vacation is one of the best times of the year for the students as it gives them a respite from their daily grind. During the vacations, they get a lot of time for themselves. Many students join summer camps, hobby classes and pursue other interests. However, this is mostly done in primary and secondary classes. In senior secondary classes, it is best to utilize this extra time in studying and preparing for the forthcoming examinations. 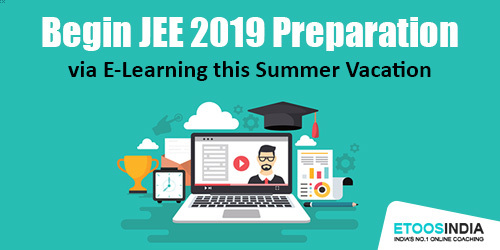 Engineering aspirants must make the most of this extra time by opting for e-learning programs for JEE 2019 preparation. There is a reason why the schools are closed during the summer months of May and June. This is because it is not advisable for children to go out in the scorching sun. They stand a chance of incurring various illnesses due to excessive summer heat. Going for coaching in such hot weather defies the purpose of summer holidays. However, seeking coaching is important and students cannot do without it. E-learning comes to the rescue at this time. It helps to prepare for the examinations without the need of going out in the sun. Even if you are enrolled at a conventional coaching centre, you require learning and revising the chapters on your own in order to be thorough with them. It is said that using different study techniques such as reading aloud, writing, listening to lectures and using flash cards alternatively enhances the learning process. 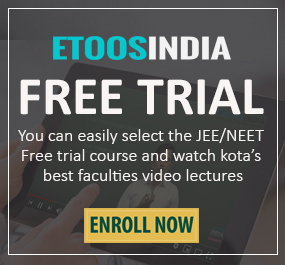 So, you can opt for IIT-JEE Online Video Lectures for the revision of the chapters covered in your class. This is a very effective way of revision. Make the most of your summer break to revise your chapters thoroughly using this technique. Experts recommend group studies for better preparation of your examination. 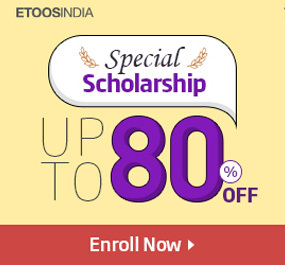 It is suggested to go for group studies weekly or fortnightly. This is a good way of testing your knowledge, clearing your doubts and learning important things that you may have missed out on in your individual study sessions. Summer vacation is a good time to go for group studies as you have ample time for it. With E-learning, you can choose your group and take lectures together. Institutes that offer e-learning programs do not just provide video lectures but also provide mock tests to test your knowledge. During summer vacation you can squeeze in more time to give mock tests. So, opt for more and more mock tests to test your knowledge and brush up on your weak areas this summer. If you haven’t considered this option yet, it is time to explore it and make the most of your summer vacation. Happy Learning!